Showit gives you the power to design your Wordpress blog with our amazing drag-and-drop builder. This article will walk you through the process of designing and migrating your blog help you understand the relationship between Showit and Wordpress. Blog connectivity available for "with blog" & "with advanced blog" subscriptions. You will also need to request our team setup or migrate your blog over for you. Wordpress is an amazing blogging platform, but needed a little help in the design department. Because of this, Showit allows you to design how your blog looks in Showit while using Wordpress to write your actual blog posts. 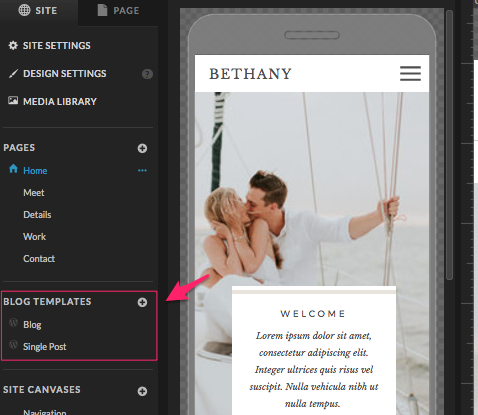 These two template pages are where you will design how your blog looks. 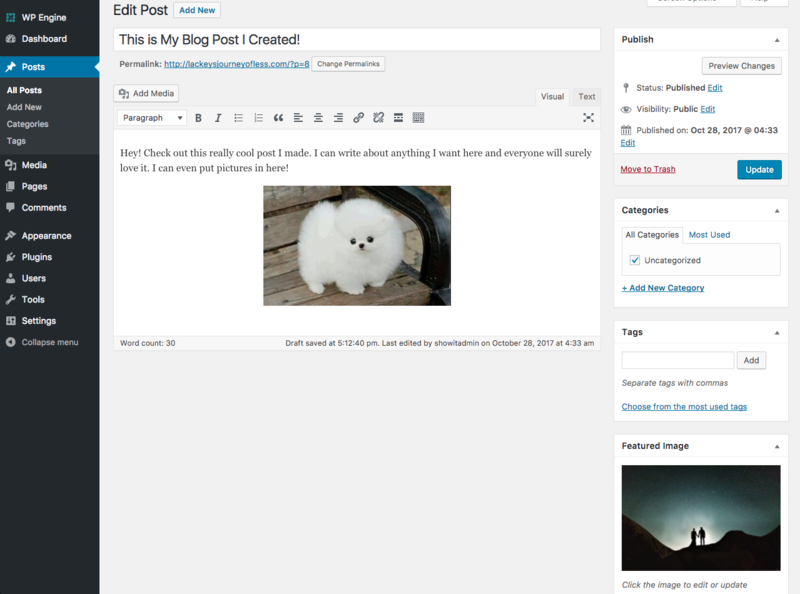 The "Blog" or "Post List" template page is where you design your blog's homepage. Typically this is the landing page where you see a short list of your latest posts with a short excerpt of each and a "read more" button. 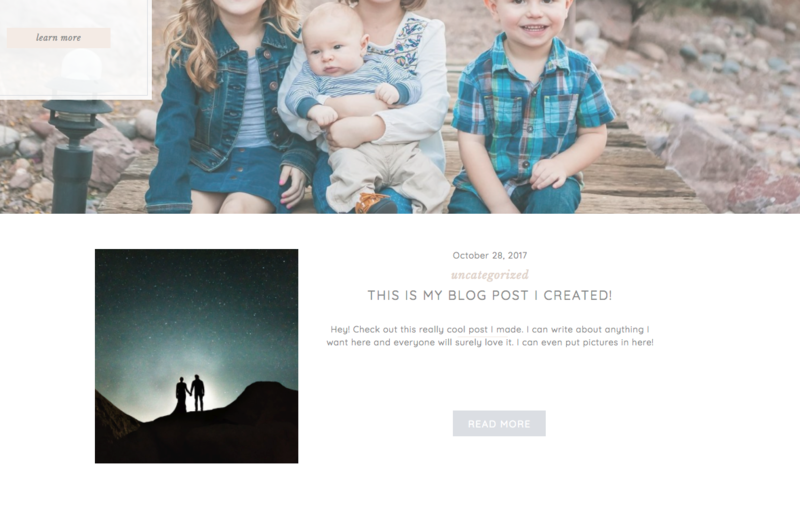 The "Single Post" template page is where you design the page a user will see when they click the "read more" button on your blog homepage to view the full post. This page will show your full post with any content you've added to it. 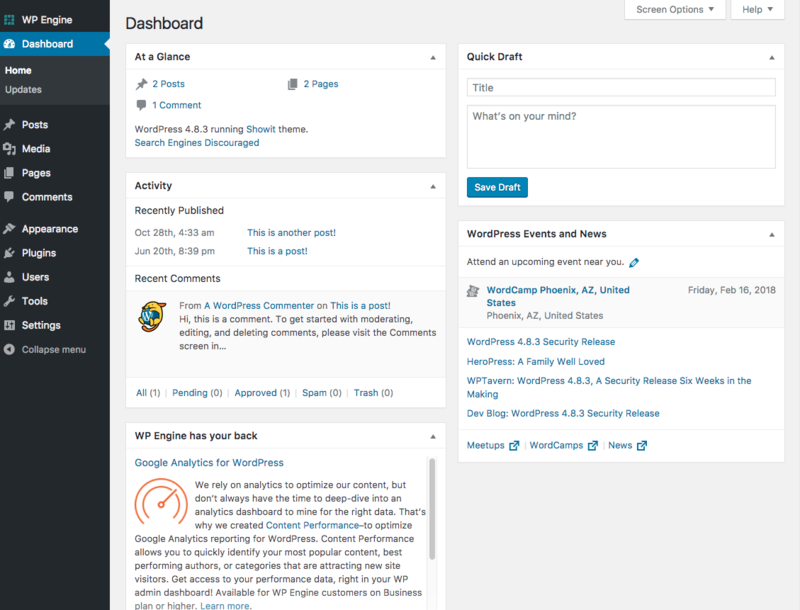 Both template pages in Showit have "placeholders" that will be filled with your own blog content that you write in your wordpress admin Wordpress. Click here to learn more about what each specific placeholder does. Once you have designed your website pages and your blog template pages, you are ready to launch your site and have our team create your Wordpress blog for you so you can begin writing posts. Click here to learn how to launch your site! And everything will come together like magic on your live site!